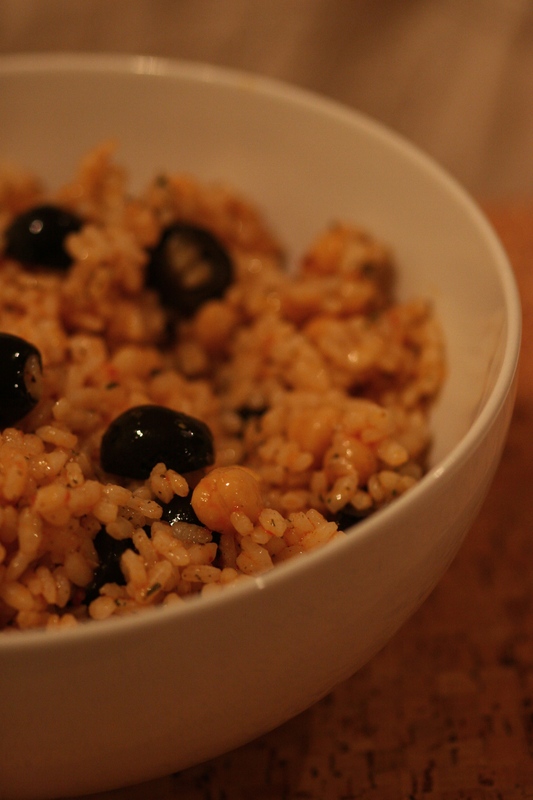 I have mentioned before my love of all things Mediterranean but couscous was an acquired taste for me. I remember eating it first on holiday in Normandy in France in the form of a tabbouleh when I was about 11 years old. I detested it. I found the texture slightly slimy and reminiscent of frogspawn (not that I’ve eaten much of that!) and the taste of mint overpowering (another taste I have since acquired). I was adamant that I hated it and refused to eat it again for several years. I re-discovered it, again in France, but this time with seafood. I was converted. I liked it. It became a convenient, go-to standby – healthy fast food that worked with meat, fish, vegetables…you name it. Until I discovered bulgur wheat, that is. That’s when the love affair truly started. I adored bulgur wheat from the moment I first came across it, swathed in a cellophane wrapper in Waitrose. Not a romantic encounter in the bazaars of Istanbul but the grains looked like beautiful jagged shards of frankincense and transported me to the Middle East even though I’d never been there. Rinse the rice in a sieve under cold running water until the water runs clear. Bring a large pan of salted water up to the boil and cook the rice for 8 minutes or until still slightly undercooked. Drain, rinse with boiling water and leave to steam dry for several minutes in the colander. The rice should finish cooking in the residual heat. I prefer to do this rather than refresh it in cold water because I always end up with cold, wet rice which doesn’t absorb the dressing. While the rice is drying, make the dressing. Crush the garlic along with the salt in a pestle and mortar to create a smooth paste. Add the peppercorns and crush them coarsely (I always crush the peppercorns after the garlic – that way you don’t get rogue peppercorns jumping out all over the work surface and the floor!). Add the harissa, lemon juice and coriander (cilantro) and stir to combine. Finally, whisk in the olive oil. 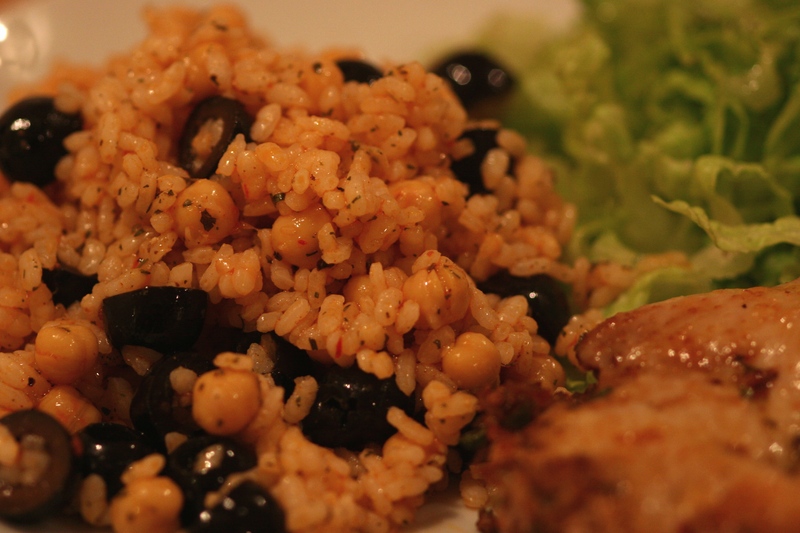 Put the rice in your serving bowl and add the dressing, olives and chickpeas (garbanzos). Stir through gently with a fork until the chickpeas and olives are evenly distributed and the rice grains are coated and glistening with the dressing. I served this with grilled chicken and a green salad. * I used dried coriander because I didn’t have any fresh. Next time, I would probably use fresh.